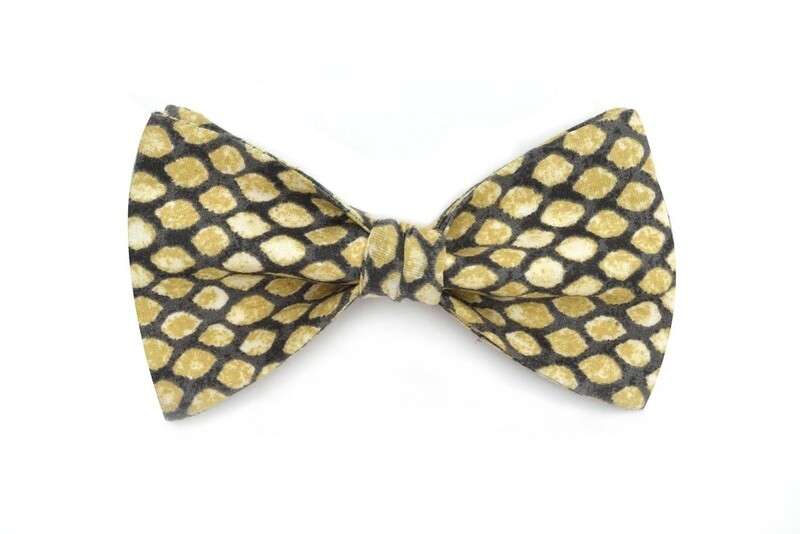 Bow Tie made out of premium quality cotton, this grey and pale yellow bow tie’s print resembles that of snake’s skin. 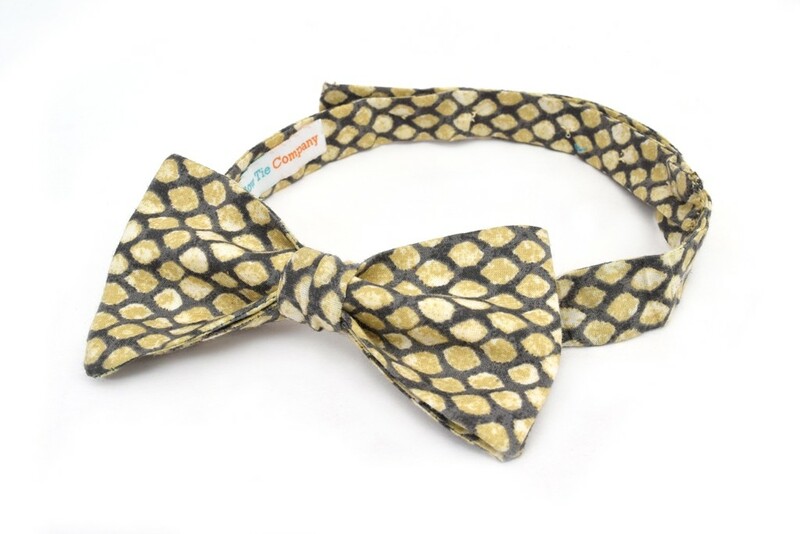 Indian Bow Tie Company brings to you this handmade Bow Tie made out of premium quality cotton, this grey and pale yellow bow tie’s print resembles that of snake’s skin. 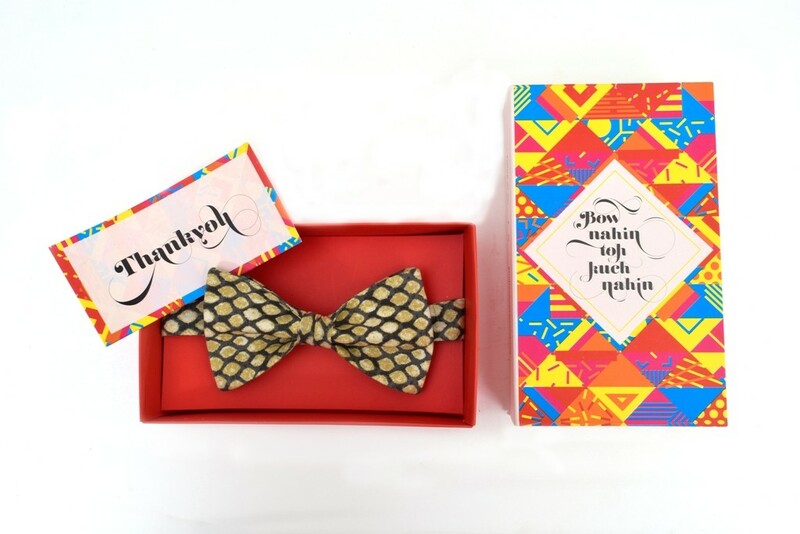 These bow ties are designed with 5 levels of buttons to adjust to different neck sizes, making them ideal for anyone to wear with ease and since they are ready made bows, there is no hassle of tying the knot.